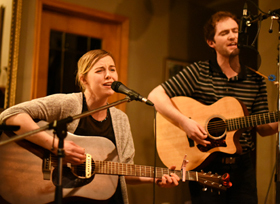 Open Mic: Singers Performance Workshop Series are for performers to “try on their song(s)” in a performance setting that is creative, and also to receive feedback by professionals in the industry. This is an active and creative environment for artists, singers, songwriters, performers and those who enjoy music. Participants will learn to prepare mentally, emotionally, physically and musically to perform at their highest level. Brian Farrell (Vocal Coach/Artistic Director) will interact with performers and provide feedback to artists. The whole audience is involved in interactive discussion. This workshop series is offered quarterly.